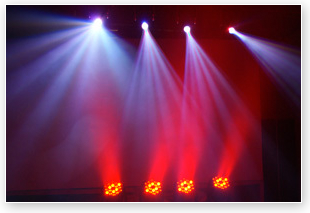 Innovative LED Stage and DJ Lighting is committed to your satisfaction, and so our policies are all geared to ensuring that you have a fantastic experience not only with your purchase, but in every step of the process in obtaining that product! If, for whatever reason, you do need to return your product(s), we ask that you do so before 7 days from the receipt of the product, and then only a small (15%) restocking fee will be applied. * "FREE Shipping" is "Standard Ground" shipment and it only applies to the 48 contiguous USA states. "Additional charges will apply for Alaska and Hawaii.